My next stop found me in the Punch Room at the Ritz Carlton Charlotte Uptown for an InstaNosh event. The event was organized to bring together Charlotte bloggers and Instagramers for a night of networking and experiencing all the hotel has to offer for local residents. 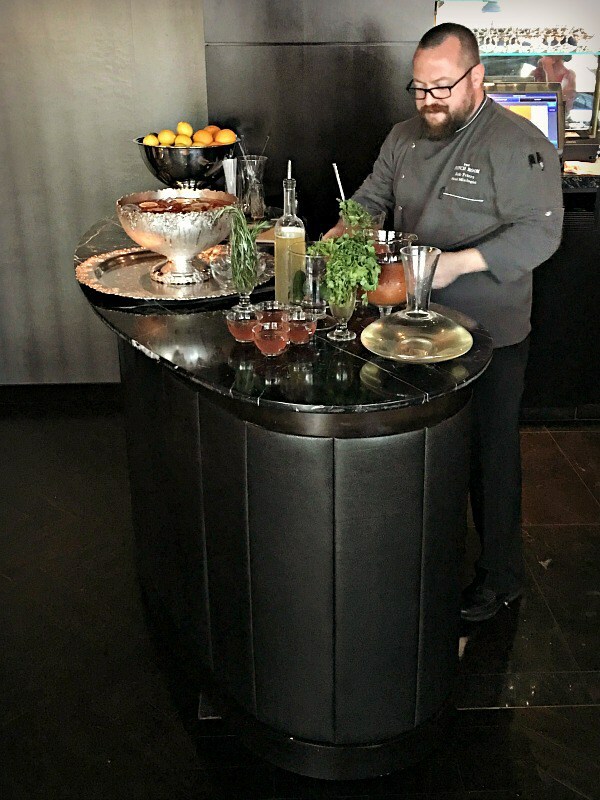 We enjoyed a demonstration from head mixologist Bob Peters on how to make a killer punch. He’s kind of a local celebrity and known for his amazing cocktails. This entry was posted in Press and tagged article, bartender, Best Bartender, Best cocktail bar, Best mixologist, Bob Peters, bob the bartender, bobthebartender, Charlotte, cocktail, Cocktails, james beard, JEN DECURTINS, mixologist, mixology, outstanding bar program, Peanut Butter Runner, the ritz, the ritz charlotte, The Ritz-Carlton.